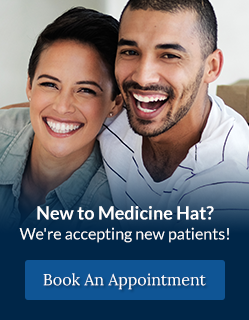 The dentists at River Dental in Medicine Hat, Alberta can help you decide if inlays and onlays are cosmetic options to help you repair teeth, or to help create a brighter, healthier smile. Inlays and/or onlays may be a viable cosmetic dental option for your smile. Book a consultation to learn more.